Finding this Hot Spot was a stroke of luck – pun intended. I can’t tell you how many times I’ve driven by during the day and there was nobody there. Sunday evening, just before the sun went down turned out to be key. Oddly enough, I just put my golf clubs back in storage last weekend. After all, the winter’s over and I no longer need the coat rack. 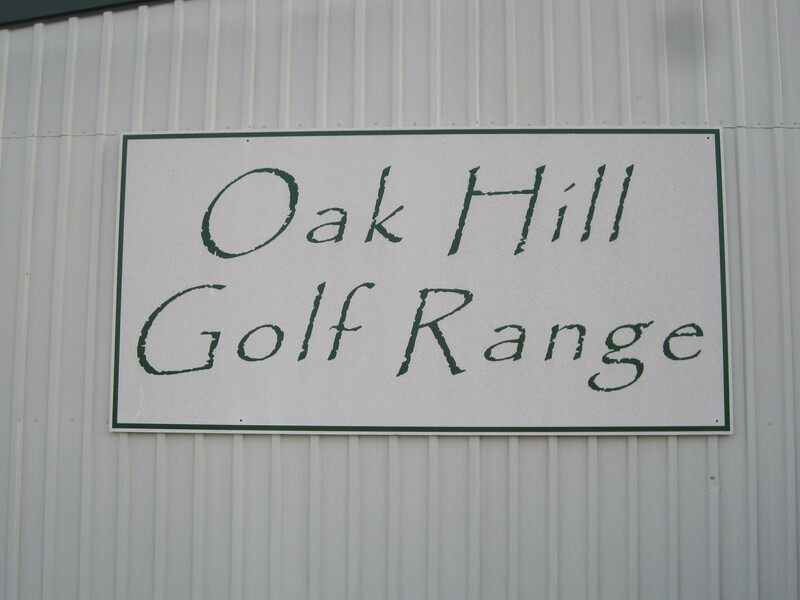 When I showed up at Oak Hill Golf Range, the place was packed. Nearly every slot on the range was occupied and the only other woman there was sitting in a chair beside her husband’s space watching him whack at the little yellow balls. Once I was in the office, I spoke with one of the instructors, Jimmy, who wholeheartedly agreed that this is a Hot Spot. “I met my wife here,” he said with a smile. One can’t argue with results like that. Jimmy explained that times to go here are in the mornings and the evenings after work, especially as the summer draws closer and the days get hotter. I suggest Sunday evenings, for obvious reasons. There are lights so, daylight or not, you can practice your swing. Incidentally, they hold a Ladies clinic on Thursdays at 7pm. 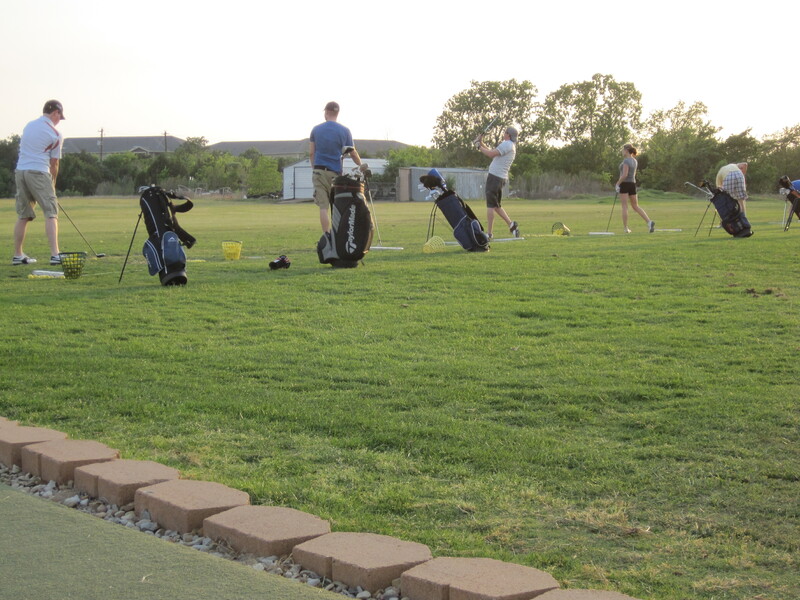 For $20, you get professional instruction and a bucket of balls. You don’t even need to have your own clubs because they have some you can use on site. I suggest you hit the head before you come out here though; if you need to pee, you’ll have to use the port-o-let. This entry was posted in Austin Hot Spots and tagged Austin Hot Spots, austin singles, Driving Range Austin, How to Meet Guys, singles, Where to Meet Guys by Chrissy. Bookmark the permalink.